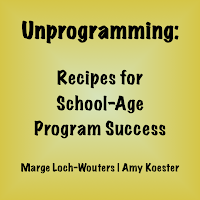 On the Monday of the 2013 ALA Annual Conference in Chicago, Marge Loch-Wouters and I led a conversation starter on the topic of Unprogramming: Recipes for School-Age Program Success. We had a number of requests to put our content online, and we will be doing so in installments over the course of this week. Chime in with your own unprogramming ideas and stories in the comments or on Twitter using the hashtag #unprogramming. Programming. 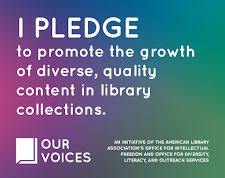 We all do it: planning what we'll do, gathering our materials, promoting the event to library families, and hosting the program on our specified day and time. Most of us got our chops planning story times for preschoolers. Preschool story time is a highly choreographed affair, with specifically-chosen stories, rhymes, and fingerplays that blend together to become more than the sum of their parts. Preschool programming also involves engaging caregivers in a way that influences them to facilitate their children's literacy development outside of the program room. Sure, preschool story time requires a degree of flexibility in content to account for the attention spans' of the audience; but that's flexibility with oodles of planned materials. Preschool programming takes a lot of planning. But what about school-age programming, the older cousin of preschool programming? What's going on there? And yet, despite these potential pitfalls, we continue to program for school-agers, as we should. But, *EUREKA! *, programming for school-age children does not need to be a time-consuming, exhaustively-planned affair fraught with worry and burnout. On the contrary, librarians can unprogram for school-age children. 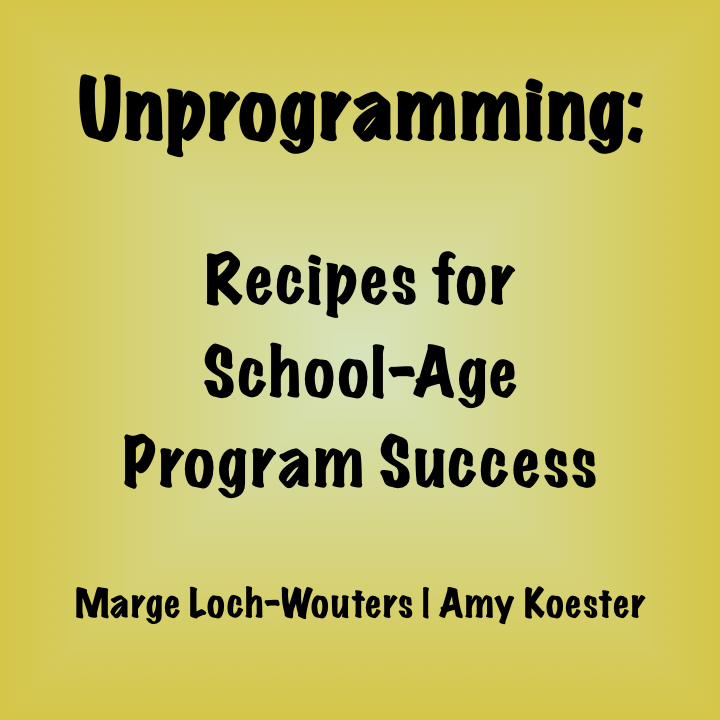 Tomorrow, Marge will share the concept of "unprogramming" and what it is.